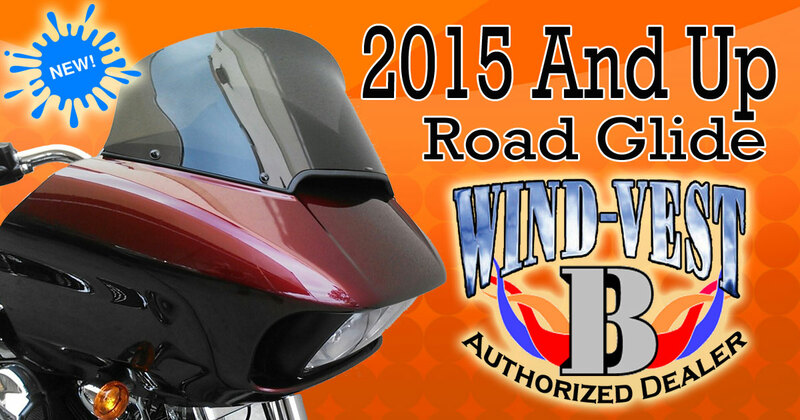 WindVest is different from the traditional windshield that may come standard on your motorcycle. It has a unique recurve flare design that deflects the wind blast from your face and chest area and makes your ride more comfortable and less tiring. 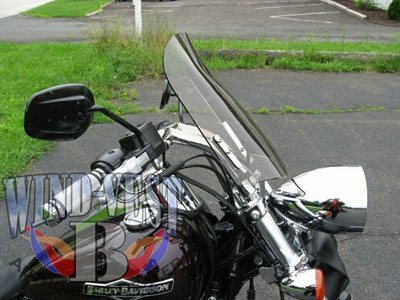 Whether you are looking for one of our Original Cruiser Windshields or in the market for one of our new fairing style WindVest windscreens rest assured you have chosen the best motorcycle windshield in both style and function. 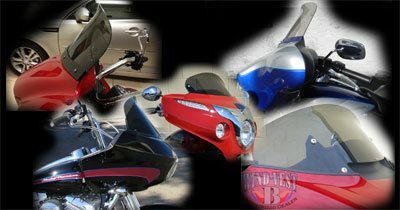 Wind Vests are now available for many motorcycles that come from the manufacturer equipped with fairings. These shields are available in many sizes and colors. They install easily (just like stock) and feature Wind-Vest's signature recurved flare lip. Revolutionary Innovative Cross-Bar Bracket holds the windscreen firmly in place. For many models, mounting hardware is available in either Chrome or Black. Advanced Design Chrome plated (or black powder-coated) billet aluminum handlebar clamps anchor the windshield securely without damaging the handlebars. Durable Extra thick 5mm hand-molded acrylic windscreen. Adjustable Mounting holes allow easy up-and-down adjustments. Clamps rotate on the handlebars to change the tilt of the screen. Design & Function Designed to follow the line of the forks for the perfect look and fit. Protects Flat front surface, 2" side contours and recurved flare top edge creates a low pressure zone diverting the wind away from the rider's chest and head. Installs in Minutes Billet clamps and stainless fasteners allow for quick installation and removal. Can be detached by removing two allen screws.